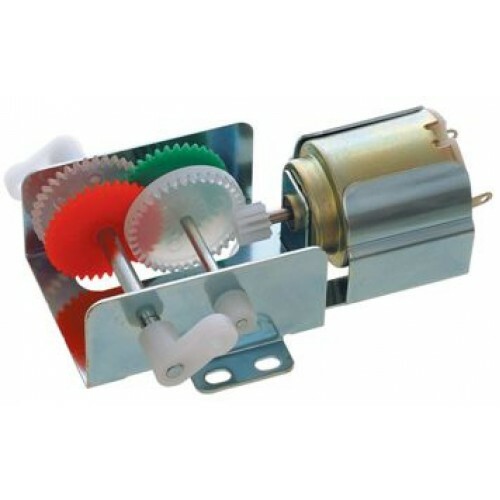 This is a very useful Motor Gearbox combination supplied as a kit of easy to assemble parts. It includes a DC motor, supporting framework with all necessary parts and two sets of gears to give two different gear ratios (1:60 and 1:288). Choice of gear ratios gives the user greater flexibility in matching speed and torque to his own particular applications.